Holiday Horror: A fantastic reading of H.P. 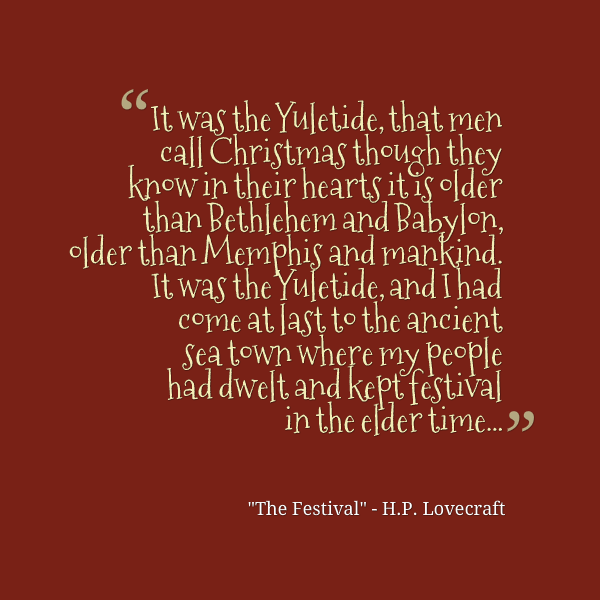 Lovecraft’s “The Festival”, plus a PDF copy! Happy Holidays!! Here is a fantastic reading of HPL’s “The Festival”, plus an illustrated PDF of the story from the Edgar Wallace Mystery Magazine. Enjoy!